I suppose the reason you are reading this is that you’ve never heard of DOC NYC. If you had heard of the festival you wouldn’t need me to point you in the direction of the festival. I’m guessing that had you heard of it you’ll have taken off the period from November 10 to the 17th from work and are ready to get lost in documentaries. 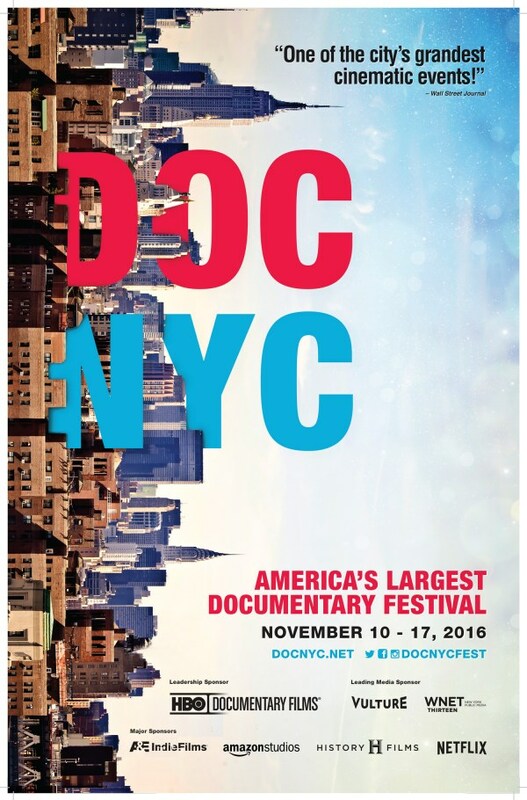 For those of you who have no idea what DOC NYC is let me enlighten you- It is one of the greatest film festivals on the face of the earth. 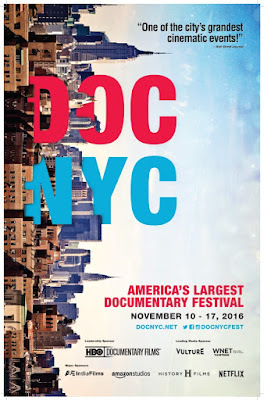 DOC NYC is a week of documentaries on every subject from everywhere and they seriously rock. I have been attending the festival since the second year and I’ve seen literally hundreds of films and while there have been films I haven’t liked, the number of films I truly hated I could count on one hand. You must go. Drop everything and just go. You should try to see it all too because based on what we’ve seen this looks to be another great year. AFTER FIRE- A World Premiere about what is faced the fast growing segment of veterans, women. I can't review it until it screens but just get a ticket anyway you can. OJ: MADE IN AMERICA- if you haven't seen ESPN's masterpiece do so. Make the time because its about more than OJ. CITY OF JOY - An another World Premiere must see. The City of Joy a place in the war torn Democratic Republic of Congo. In the City women are given the chance to over come the violence done to them and become leaders. It will move as few films have. FOLLOWING SEA- This may seem like an odd choice but what makes this a must see it is Nancy Griffith's 16mm film of her families decades of life sailing around the world. The you are there factor can't be beat. BOBBY SANDS 66 DAYS- An emotional look at the life and times of Bobby Sands as well as the conflict in Northern Ireland. Beautifully handled it will leave you limp. Starting Monday we’ll be have an avalanche of reviews running through the end of the festival. Where we can we will have reviews up before the films screen so you’ll know what to see. We’ll also be seeing films at the public screenings so check back for reports on films and Q&As.